Prints & Pastels: Shop Spring's Hottest Denim Trend! So it's not quite 70 and sunny yet, but warmer weather is right around the corner. As we're itching to ditch our leather pants and and coated jeans, we're getting more and more excited about the playful and colorful prints of the season. From blush florals to geometric, color-block prints, we can't wait to start sporting colored denim. 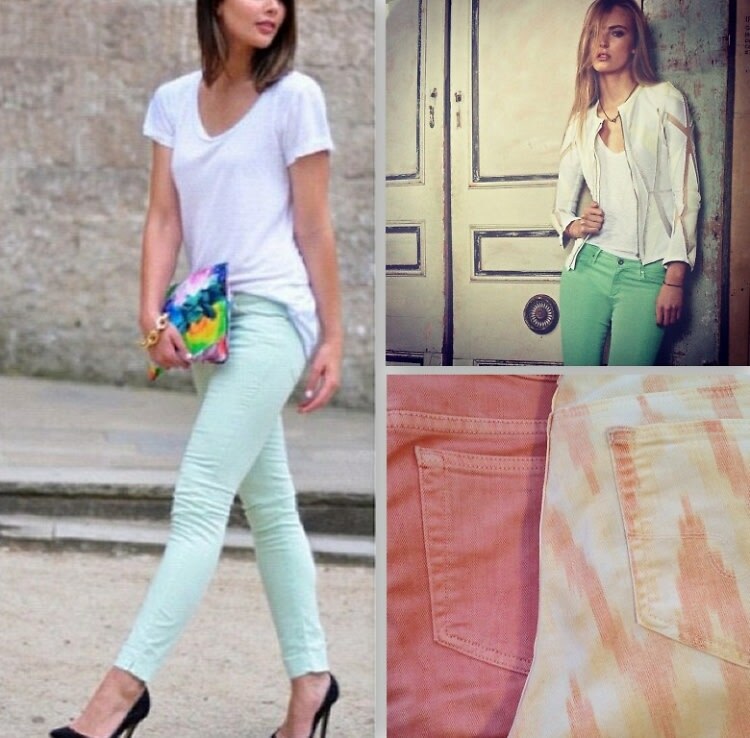 Click through to see some of our favorite pastel and printed jeans for the spring.